Ladies we understand the stress undergone when your car is not functioning how it should. A trip to the auto shop means a frustrating, time wasting wait in a grungy reception area. Let Va-Va Vroom put this stress to rest by changing this experience. 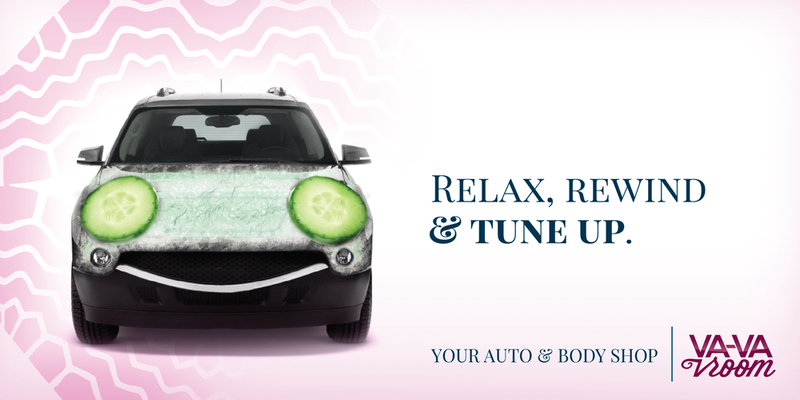 While your car is being repaired, relax and enjoy our spa featuring everything a girl needs for proper pampering. Tagline: The spa for you & your car.